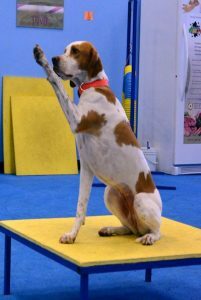 This will be a fun outdoor class that focuses on teaching your dog how to use their body safely. You’ll learn to get the most out of your walks by using the environment to challenge your dog’s fitness and focus. You’ll learn about determining your dog’s fitness level, and how to add a dog-version of weight lifting and balance skills to your dogs workouts. 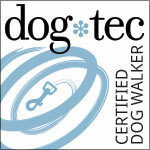 This class is best suited for dogs that have decent loose leash skills and are non-reactive to other dogs being active. Canine Adventure is a fun activity based class for dogs of any age. Improve the human -animal bond with your pet! 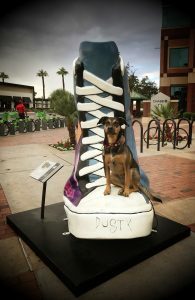 Dogs will participate in a learning, obstacle course that creates lively activity and thinking games, while reinforcing obedience, and learning new athletic skills. It is done on leash and more than one dog can be on the course at one time. Dogs need to have an even temperament and social demeanor and classes have a maximum of 6 dogs. The activity and sport of scentwork is designed to develop your dogs’ natural scenting abilities by using their desire to hunt and their love of toys, food and exercise. It’s a great way for your dog to have fun, build confidence and burn lots of mental and physical energy. Open to all breeds, it is a great class for dogs of any age. They will have an opportunity to build confidence in new environments and work around obstacles without the stress of interaction with other dogs. Open to dogs of all ages that are dog social, treat or toy motivated and willing to explore new things! Class will include tricks for flexibility, balance and entertainment! Treibball promotes the same kind of teamwork and communication as agility, but does not put any physical stress on the handler. It also builds confidence for the shy dog, and helps reactive dogs with impulse control. 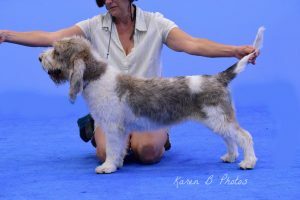 New to the sport of conformation show dogs or an experienced handler? This class prepares you to catch the judge’s eye with your perfect picture! Class covers show preparation, training and presentation skills. Puppies welcome. 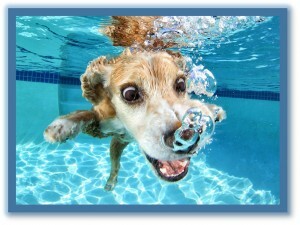 PRIVATE SWIM LESSONS FOR YOUR DOG! 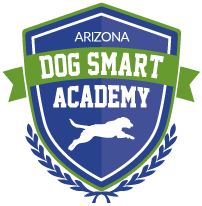 Our trainers will come to your home or our off-site Scottsdale location to personally train your dog how to swim. It’s a great way for dogs to get exercise and to cool off in the hot summer months.